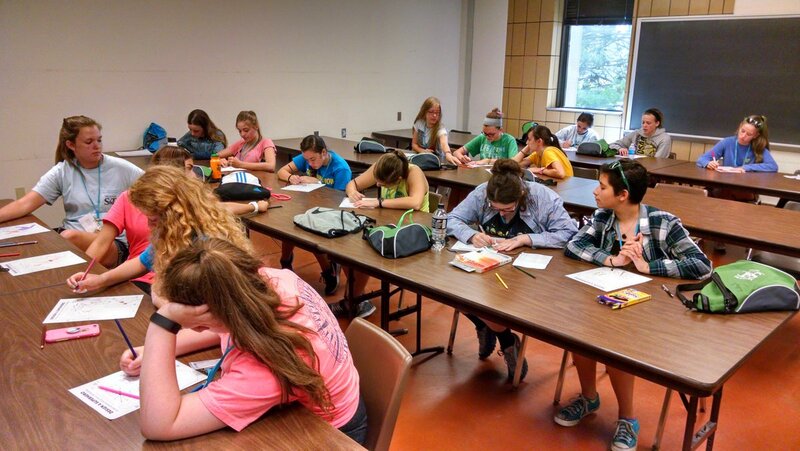 As a recent recipient of one of 200 Building with Biology physical kits, Dr. Dave Westenberg, co-advisor of the Missouri S&T iGEM team had a chance to try out some of the activities with Summer Solutions For Girls campers. The result was a huge success. The girls were first introduced to the Super Organisms activity in which they had the opportunity to design their own superheroes and super microbes [watch short video of activity-in-action]. They were able to choose from a collection of super powers that could solve a problem but were also encouraged to make up their own. The dynamic conversation during the activity and the sharing out was outstanding. 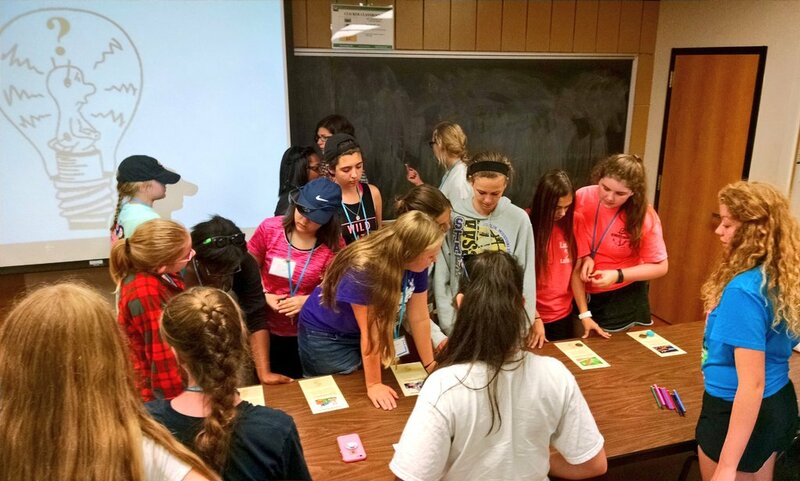 However, the conversation really got going when the girls got to try out the Tech Tokens activity. Working in small groups the girls selected the applications of synthetic biology they felt were most worthy of investment. The conversation was great but, when the girls were asked to assume the identity of someone else, their thoughtful discussions demonstrated they really got into the activity.